Makeup is a way of enhancing your beauty, not transforming you into a different person. You can use as much of it as you want, but if you have bad skin there’s not much that even the best makeup can do. Taking care of your skin as well as picking up and getting rid of some habits can improve your skin drastically. We’ve come up with seven tips you can incorporate into your daily regimen for better skin tomorrow. By now you've heard this about a million times and we're telling you yet again - wear sunscreen. There are other ways of achieving a tanned complexion. In the long run all that sun is just going to age you quicker and leave you with leathery skin. Even on colder days it's important to wear sunscreen. You might not feel it, but those rays are still getting to you. We've heard all the excuses about not washing your makeup off at night, because we say them to ourselves on occasion. Whether you're too tired or you didn't wear that much makeup that day it's doesn't matter. Washing your face is essential to having clear skin. All that makeup and dirt gets underneath your pores and will cause breakouts. That extra minute you take at night can save you from an ugly blemish in the morning. Sometimes washing your face is simply not enough. Using a cotton ball, pour some toner onto it and rub it all over your face. The toner will get the dirt and oils left behind after washing your face. Getting this into your daily routine can prevent breakouts as well as keep your skin extra clean. Using the same bar of soap you wash your body with doesn't cut it for the face. Instead opt for a wash that is designed specifically for the face. The right one will leave your face feeling refreshed and clean instead of dry the way a regular bar of soap would. Not only is smoking life threatening and stains your teeth, but it also messes with your appearance. Smoking leads to wrinkles, puffy skin, stained teeth and chapped lips. Now that is not a good look at all. Drop the nasty habit now and watch the damage start reversing. 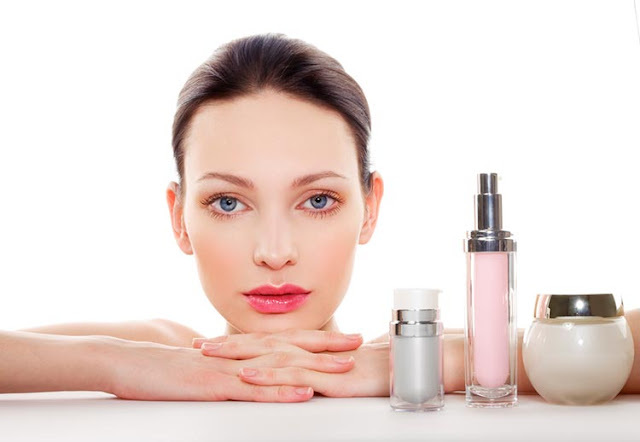 It doesn't matter your skin type, a moisturizer should be worn on a daily basis. Providing hydration will keep your skin looking smooth and healthy. It also reverses environmental damage that we're exposed to on a daily basis like pollution and light rays.